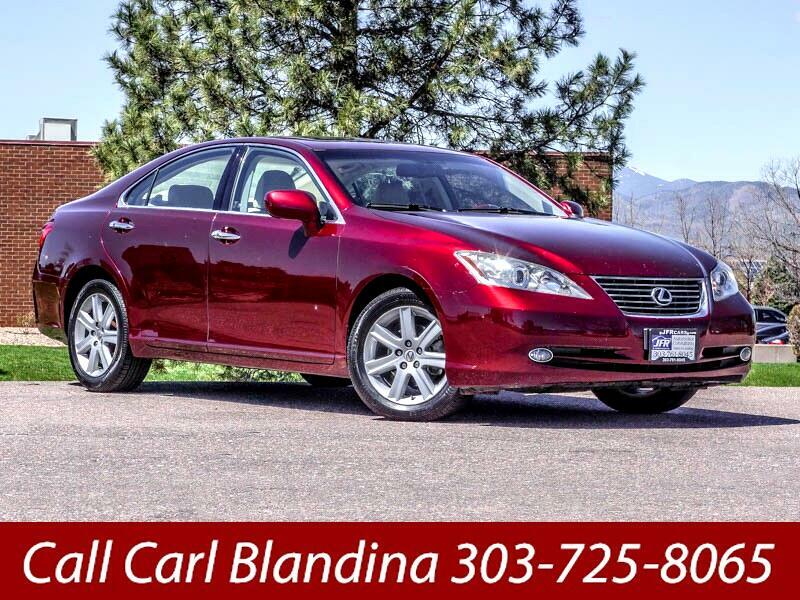 Used 2007 Lexus ES 350 Sedan for Sale in Littleton CO 80120 JFR & Associates, Inc. If you enjoy a quiet, soft ride and sports car handling; then take a look at this ES350. Lexus designers and engineers have outdone themselves with making this ES stand out as a luxury sedan with style and sharp lines. This Lexus ES 350 is one of the poshest luxury sedans in this market. When you step into the cabin everything you see, and touch exudes quality, from the rich walnut accents to the sumptuous leather seats. It's so nice to drive a car that is warm and inviting plus it surrounds you in luxury and spoils you every-time you drive it. This Lexus is one of the quietest cars in the market; wind, road and engine noise are almost nonexistent. This Lexus ES350 comes with a wide array of options like tinted windows, Satellite Radio, sunroof, genuine wood trim, memory seats, CD player, Bluetooth integration, CD changer, heated seats, heated exterior mirror, aux audio jack, plus lots more to make your driving experience more delightful. You are cordially invited to take this highly desirable Lexus ES350 for a test drive and discover for yourself why this sedan is so popular. Contact us today and schedule a test drive. You'll be glad you did. Call Carl Blandina at 303-725-8065 if you have any questions or if you would like to schedule an appointment to see this vehicle.